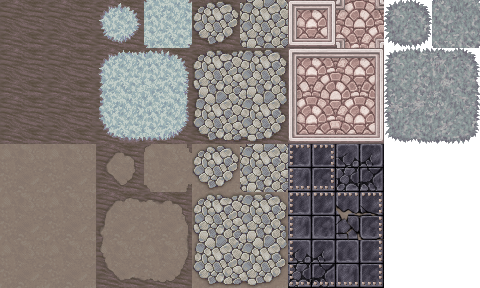 perfect!this sprites and tiles are very great! Oh. My goodness. How did I never find these before? I'm working on a commercial project, which is still in planning and I-have-code-nightmares stage... but I will gleefully give you a copy of the game if I can include a freaking CANDY DUNGEON in my random dungeon runner. Awww thank you, welcome to my small corner! Your pipework looks great! 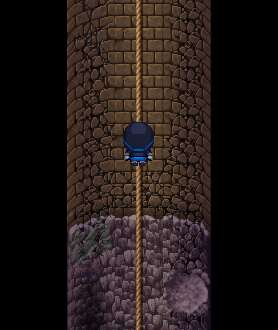 Just what a hero needs to escape through... Will you be making severs tile-set? 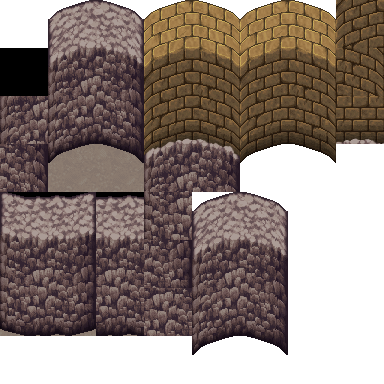 There seems to be plenty of tiles to replicate a modern sewer in the base MV pack already. Been remaking the default MV icon sheet with a more vibrant set, 1/3 of it is done for now but if anyone wants to use them feel free to. Chaos17, M.I.A., CallMeBatman and 5 others like this. They kinda give an old timey feel to them with the black background. Well done, Dragoonwys. CallMeBatman, Rabosion, M.I.A. and 1 other person like this. Did the hair for walk and battle for this as a request already, might as well finish the entire set with all the generator parts! Halcyon Days, M.I.A., SeaPhoenix and 5 others like this. dragoonwys and MMMm like this. Absolutely in love with those tiles. Made an entry for the Halloween event, and since I had decided to make a new part might as well make it a full generator part. Here is Frankenstein Monster's Bride iconic hairstyle. I personally think the original black is the best but you can switch it to which ever color you want easily. M.I.A. and MMMm like this. Halfway between somewhere and nowhere. I like the bun hair and the icons! Really nice. Thanks for sharing! 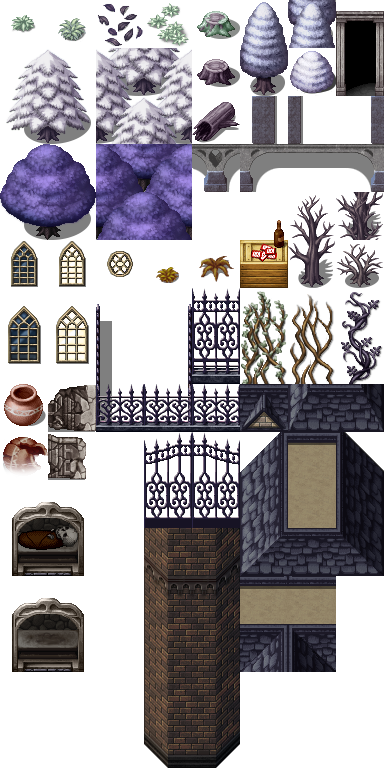 I posted some time ago that I was going to edit rtp tiles for my IGMC entry, so I'm sharing them with ya'll now that I'm done with the game! CallMeBatman, KitCameo, Lunarflame and 2 others like this. So pretty the sweet tilesets.